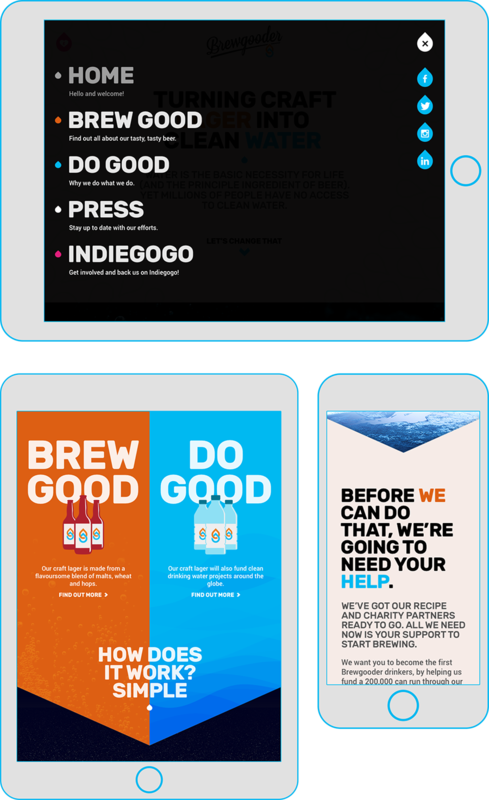 Brewgooder is a new social enterprise, set up by the founders of Social Bite and Brewdog. 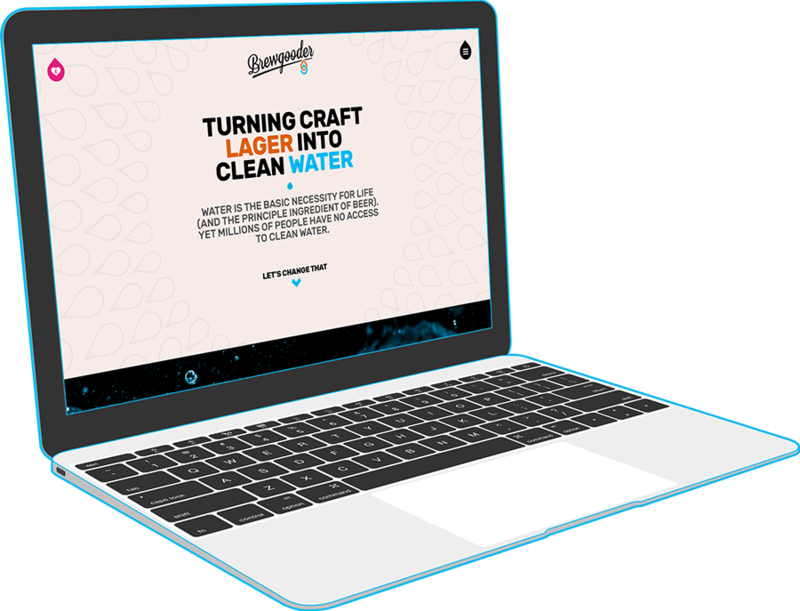 Their mission is to sell their craft lager (produced by the guys at Brewdog) and use the profits to fund clean water projects around the world. I had very little in terms of a visual brief, which gave a bit of scope to have some fun with it, as part of a team of volunteers! The site launched in time to support their crowdfunding campaign, which smashed its target in less than a month! In time Brewgooder moved on to a different website, but this concept remains one of my favourites.